Google Drive is a file sharing and storage service powered by Google. Facebook stores your photos and videos: find them on SiteW. Pixabay is a community of photographers offering over 1.5 million copyright free images. Flickr homes ten of billions of photos with part of them freely accessed to illustrate your website. Enjoy more than 100,000 pictures and graphic elements you can insert for free into your website. Music and audio platform with 150 million sounds. The video-sharing website with two billion users fits in SiteW with a simple click. 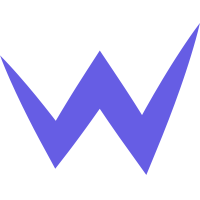 This French video-sharing service is directly available on SiteW. Vimeo is a hosting video service relying on a demanding community and ultra HD-quality videos. Twitch offers video game streaming and e-sport channels and easily fits in your website. Dropbox offers devices for working collaboration that rely on file storage in the cloud. The picture and document storage service in the cloud powered by SiteW. Create a custom map for your website with Google My Maps. Synchronize the SiteW Calendar block with your Google calendar.